When one thinks of great Yankee catchers, a few names come to mind. Yogi Berra. Thurman Munson. Dikembe Mutombo? 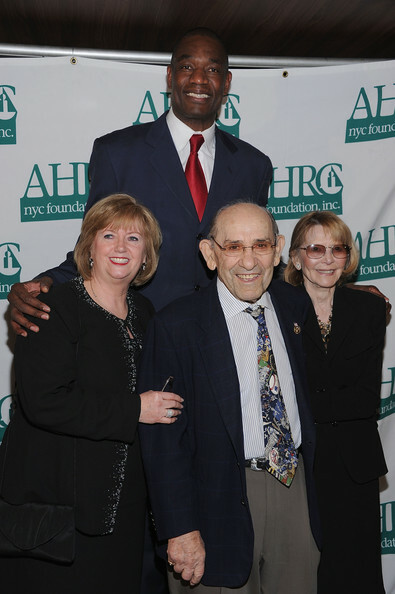 The retired NBA star was at the 32nd Annual Thurman Munson Awards (Tebow knows why) and posed with Yogi, Mrs. Yogi, and Munson’s widow, Diana. According to Guinness, it is now officially the most awkward interaction in human history. I imagine it went something like this. Mutombo (in Cookie Monster voice): Izz e prezzere ta mit yuuuuu, Mussta Boora. Yogi: What? You have to speak when you talk.